Ahead of Municipal elections scheduled for 10 October 2018, EISA Mozambique, in close collaboration with Elections and Political Processes, deployed a team of international short-term observers to partially observe the voter registration process. The mission, comprised of 11 observers, was deployed 14 to 25 March. The mission engaged the EMB and observed both the beginning and end of voter registration in 21 municipalities in 7 provinces. EISA Mozambique supported the training of 800 MDM party agents for the monitoring of the 24 January mayoral by-election in Nampula city. The EISA Mozambique office staff trained 50 diplomatic watch observers from the diplomatic missions accredited in Mozambique for the Nampula local by-election. EISA Mozambique also trained 15 local journalists on election day procedures and election results analysis for the second round of the by-election. EISA Mozambique supported citizen observation efforts for the Nampula mayoral by-election, in close collaboration with the Platform for Election Observation. 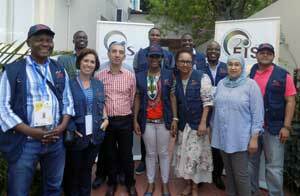 EISA Mozambique trained 420 citizen observers in election day observation methodology. Of these, 54 were given additional training as polling centre supervisors and on how to operate the popola system to conduct a PVT. EISA also managed the collection and aggregation of data for the PVT using the popola system. This was the second time that EISA used popola or its equivalent to conduct a municipal PVT (the first time was in 3 municipalities in 2013 also in Mozambique), but it was the first time that such a large number of polling stations - 401 - was covered. The exercise was very successful - within 3 hours of closing the polls, with 25% of the data aggregated, our system successfully pointed to final election result, which was confirmed once all polling stations reported their results. EISA Mozambique was able to engage with citizen observation groups to begin preparations for the observation of a mayoral by-election scheduled for January 2018. EISA takes an electoral-cycle approach to election observation, and regards the observation and assessment of all the main phases of an electoral process as an important exercise for the overall evaluation of elections. In this spirit EISA Mozambique conducted observation of the 2018 voter registration process after realising that no other national or international entity was planning to do so. Therefore in the last quarter of 2017 EISA Mozambique began the planning process for observation of voter registration due to begin in March 2018. Operational planning and parallel vote tabulation: With the newly created, EISA initiated, "Platform for Election Observation", a new coalition of seven Mozambican CSOs, initiated in February, EISA agreed to provide technical support to the design of the citizen observation operational plan and to the parallel vote tabulation exercise, for the 2018 local elections and 2019 national elections. EISA Mozambique also began its technical assistance to this initiative. Youth observation participation: Discussions also began in regard to a second initiative aimed at educating and mobilising youth to participate in the electoral process. Under this initiative, EISA Mozambique is particularly interested in the initiative's component related to the development of audio-visual training tools, which may be used by EISA Mozambique for the training of party agents, election observers, journalists, and other groups. In 2016, the main platform for citizen observation in Mozambique, the Electoral Observatory, was dissolved, after 13 years of existence. This created a serious gap in the capacity of Mozambican civil society to observe electoral processes. EISA Mozambique initiated efforts to facilitate the establishment of a new platform. On 10 February 2017, a group of 8 Mozambican CSOs convened by EISA, met to start the process of creating the new citizen observation network. Support to the AU EOM in Angola in August 2017. Training SADC observers for the Angola national elections in August 2017. Training of Mozambican journalists who were assigned to cover the Angolan elections. Participation in the drafting and submission of the SADC Reference Manual for Election Observers and the SADC training curriculm and trainers' manual for election observation in Johannesburg in June 2017. Support to the EISA EOM in Lesotho in May/June 2017. Participation in the EISA PAM to Lesotho in March 2017. Training citizen observers, members of EMBs, party representatives and journalists in Seychelles in April 2017. Konrad Adenauer Stiftung Workshop on Political Parties in Africa in Berlin in December. Participation in the APRM Workshop in Mauritius in November 2016. Participation in the Declaration of Principles for International Observation meeting in Johannesburg in October 2016. Training of the SADC Election Observation Mission to the Seychelles Legislative Elections of 2016, in September 2016. Support to the AU EOM to the Legislative Elections in Seychelles in September 2016. Support to the EISA Election Observer Mission to the Zambia General Elections of 2016, in August 2016. The training of the SADC Election Observation Mission to the Zambia General Elections of 2016, in Luska in July 2016. SADC Election Advisory Council (SEAC) meetings to discuss the assessment report on the performance of SEAC 2012-2015, and to present the draft SADC Election Observation Missions (SEOM) Management and Coordination Handbook and the SADC Observers Reference Handbook, both developed by EISA, in Gaborone in June 2016. Support to the African Union Election Observation Missions to the Presidential Election in the Republic of São Tomé and Príncipe, in July 2016. Experts Meeting on Access To Information (ATI) & Elections, convened by the Special Rapporteur on Access to Information of the African Commission on People's and Human Rights and the Human Rights Centre of the University of Pretoria, to develop Guidelines on ATI and Elections, in Pretoria in May 2016. Support to the African Union Election Observation Missions to the Legislative Elections in the Republic of Cabe Verde in March 2016. Pre-Election Assessment Mission in the Republic of Cape Verde in February 2016. Technical support to the AU EOM to the general elections in Tanzania in October. The technical team of the EISA EOMs to Lesotho in February. The technical team of the EISA EOMs to Zambia in January. As part of EISA's support for electoral activities in the Economic Community of Central African States, the EISA Mozambique Country Direct provided technical support to the new electoral commission of the Republic of São Tomé and Príncipe in July 2018. The Mozambique Country Director participated in a joint EISA-EU training event for African Union Long-Term Observers held in Addis Ababa from the 22nd to the 28th April 2015. This training had two components: training of AU trainers and training of LTOs. In 2014, EISA provided support for the training of party agents for the monitoring of the voter registration process that took place from 15 February to 29 April 2014, and for election day. EISA supported FRELIMO by training 16 national and 160 provincial trainers in all 11 provinces, for the voter registration process and 496 trainers and 32,000 party agents for election day monitoring. For MDM, EISA trained 290 party agents in the central region of Mozambique who were deployed to monitor the last phase of the voter registration process as well as 6,000 party agents and polling officials for Election day Monitoring. RENAMO, was not included in EISA activities given its boycott of the electoral process and involvement in armed conflict with the government. However, following the cessation-of-hostilities agreement, EISA was able to start its activities with RENAMO in September 2014 beginning with training 14,000 party agents and polling officials for Election Day. Due to organizational constraints - delays in identifying and recruiting party agents - the opposition parties were less effective in replicating the training at the lower levels. However, all three parties managed to exceed the replication target of 3,200 party agents per party by a significant margin due to cost-contention measures applied by the parties themselves in the replication phases of the training. On Election Day, FRELIMO deployed 37,000 party agents, RENAMO 26,000 and the MDM 25,000 agents, meaning that EISA's support provided for the training of 84% of FRELIMO's deployed party agents, 54% of RENAMO's and 24% of the MDM's. At the time, EISA, was the only external partner training party agents. It can be noted that, its intervention improved the quality of party agents, and the role they played at many polling stations which were faced with attempts of electoral malpractice. This role was widely recognised by both national and international observers and the media, compared to previous electoral processes. The EISA-Mozambique office further assisted the Electoral Observatory (OE), the largest coalition of citizen observation organisations in Mozambique, with parallel vote tabulation (PVT). EISA provided technical support to the sampling process, the selection of sampled polling stations, observer checklists, training of trainers, and results analysis and reporting. On Election Day, the EISA-Mozambique office received all the OE citizen observer data related to the opening, voting, closing and counting processes, analysed and aggregated it, and drafted the four communiqués issued during the day by the OE leadership. A total of 2,107 polling stations were selected for the PVT sample, with a 2% margin of error. About 300 polling stations did not report their results due to organisational challenges and a lack of observer accreditation. However, the missing polling stations were equally spread through all provinces, and therefore did not significantly affect the randomness of the sample, although it increased slightly its margin of error. The PVT results validated the official aggregation of the polling results within the margin of error. EISA deployed an EOM comprising 50 long-term and short-term observers, of which 50% were women. The Mission was active on the ground from 28 August to 30 October 2014, and was led by the Honourable Raila Odinga, former Prime Minister of Kenya. The 23 LTOs were active on the ground from 28 August 2014, remaining in the country for two months. In teams of two, the LTOs were deployed to all provinces of the country. The Maputo city team also covered Maputo province. Given its size and geography, two teams were deployed to Zambézia province, with one based in Quelimane city and another in Gurué city. The LTOs observed the entire campaign period, engaged main stakeholders in their areas of deployment and provided the Mission coordination team with weekly situation reports. After Election Day, LTOs remained in their areas of deployment to observe the district and provincial tabulation process. The LTO coordination team remained in the country until the announcement of final results by the Mozambique Electoral Commission (CNE) on 30 October 2014. The 27 STOs arrived in the country on 8 October 2014 and were deployed to all provinces. Nampula province received an additional team, given the size of its voting population and the number of polling stations. The 25 EISA observer teams covered 360 polling stations in more than 50 districts. As is now practice for EISA EOMs, the observer teams were equipped with tablet computers, which enabled them to collect and send data to the Mission headquarters in real time. In 2013, EISA deployed its first-ever Technical Observer Mission to municipal elections. This was the only formal international observer mission to the Mozambican local elections of 2013. The 5-member Mission was comprised of observers from Angola, Belgium, Germany, Nigeria, and Portugal, and deployed on 11 November, reviewed all phases of the electoral process, met with key stakeholders, and observed campaigning and voting in 8 municipalities. An improvement in the process of handling candidatures by the CNE, when compared with the 2009 electoral process. The late announcement by the government of the creation of 10 new structures of the EMB, whereby the National Commission has limited authority over lower level bodies (provincial and district commissions) created dysfunction in election management. The lack of access by political parties to voters' rolls limited the transparency of the process. The very low number of women as mayoral candidates continues to contribute to low representation of women in individually elected positions. Incidents of violence in the last days of campaigning in some municipalities due to excessive use of force by the police stained an otherwise peaceful process. Most national observers were not accredited in the city of Beira, the main opposition governed municipality, limiting significantly the transparency of the process in the country's second largest city. Problems during the counting process in some municipalities due to the fact that polling officials were refusing to hand over copies of the tally sheets to opposition party agents and excessive intervention by the police tarnished the last stages of the process. Excessive delays in the intermediate tabulation of results at district level created an environment of suspicion about the credibility of the election results. EISA further supported the training and deployment of 265 citizen observers from the Electoral observatory for the observation of voter registration in the 53 municipalities in Mozambique. 600 citizen observers were trained by EISA for the collection and transmission of observer data on Election Day, including election results for a parallel vote tabulation exercise. For the first time, EISA made use of its mobile methodology outside of its own continental missions, providing citizen observers in Mozambique with smartphones loaded with the ODK software to collect and send observation data in real-time. It can be stated that the electronic forms used by the observers were developed by EISA. EISA also supported the PVT in another five municipalities with SMS methodology. The PVT results in one municipality were instrumental in assisting the Constitutional Council in deciding an electoral dispute, which resulted in the Council annulling the elections in Gurué and have them repeated due to serious irregularities in the tabulation of results. Observers and CSOs alike received well the new technology, as it allowed fast collection of data and made it easier to send the data to the PVT control centre. Transparency and credibility of elections increased through parallel vote counting in one municipal by-election. The EISA Mozambique office assisted the Electoral Observatory, a coalition of domestic observation organisations, in conducting a full parallel count in the municipal by-election in the city of Inhambane on April 18 2012. The parallel count covered all 54 polling stations and the processing of results was concluded by midnight, 6 hours after the closing of the polls. The parallel count results confirmed the official results released later on April 19 by the EMB. There were only two parties competing in the election: the ruling Frelimo party, which won the election, but went from 91% in 2008 to 78.5% in 2012, and the newcomer MDM, which got 21.5% of the vote, against 9% that the combined opposition obtained in 2008. EISA continued to strengthen its partnership with the Mozambican Electoral Observatory and provide leadership in civil society efforts to increase electoral credibility and transparency. Manual published: In 2011 EISA Mozambique produced a manual Sample-Based Election Observation and Results Tabulation: Manual for Civl Society Groups in Africa aimed at empowering CSOs with the key information required, including the conduct of parallel vote tabulation. This is a user-friendly tool, with a step-by-step approach, based on concrete, hands-on experiences by CSOs in several African countries, including EISA's own experience. Full parallel vote counts in by-elections conducted: During the three municipal by-elections of December 7, in the cities of Quelimane, Cuamba and Pemba, EISA conducted three successful full parallel vote counts with results fully processed within eight hours of the closing of the polls. The presence of domestic observers in all polling stations and the PVT conducted by EISA were instrumental in guaranteeing the transparency of the voting, counting and tallying process. EISA supported the training of trainers for FRELIMO party election agents for three municipal by-elections held in November 2011. The EISA programme in Mozambique in 2009 was dominated by the electoral process that led to the presidential, legislative and provincial elections held on 28 October 28 2009. Therefore, most activities implemented throughout the year - training, technical assistance, debates, and media events - were related to that process, especially as through partnerships with, and technical assistance to, local institutions in civil society. In collaboration with the Electoral Observatory, EISA has been involved in parallel vote tabulation exercises, increasing its own expertise in this area. Earlier in the year, in collaboration with the Electoral Observatory, EISA conducted a parallel vote tabulation exercise in the second round election for mayor of the northern city of Nacala, Mozambique, held on 11 February. In the first round, in November 2008, no candidate obtained the necessary absolute majority and a run-off between the Frelimo and Renamo candidates was required. The Parallel Vote Tabulation (pvt) was conducted with 198 observers, who observed the voting and counting process and collected results from all 99 polling stations. Counting ended on average at around midnight and, by the early hours of the morning, the PVT results were out. The official results, which gave the Frelimo candidate the victory in the run-off, coincided with the PVT numbers. A similar exercise was carried out for the presidential, legislative and provincial elections held on 28 October 2009. Based on a random statistical sample of 997 polling stations, out of a total of 12,851, the PVT was conducted with the assistance of 997 domestic observers. EISA designed the operation, developed the IT programmes and database to collect and process the results, and provided the technical training to the observers. The differences between the official results and the PVT results for the three presidential candidates were less than 1% (0.26%, 0.38% and 0.93% respectively). Prior to the election, on the 31st of March and the 1st of April 1 2009, EISA organised a technical workshop on PVT experiences in Africa in order to draw lessons learned and best practices, and strengthen EISA's capacity in this field. Representatives from Mozambique, Ghana, Zambia, and Zimbabwe shared their PVT experiences. Participants from the Côte d'Ivoire and DRC also attended to learn from those countries that have already put in practice parallel vote tabulation exercises. EISA Mozambique used lessons from the workshop to conduct the PVT in the general elections of 28 October, especially the Ghanaian experience of using special software and coded cell-phone messages to transmit results from the polling station to the command centre. EISA Mozambique participated in an Evaluation Team contracted by UNDP Malawi to conduct an Outcomes Assessment of the donor-funded and UNDP-executed Elections Support Project to the Malawian electoral process of May 2009. EISA Mozambique assisted UNDP Mozambique in the training of 65 international election observers from diplomatic missions based in Maputo. Mozambique will hold its 3rd municipal elections on 19 November 2008. 43 mayoral posts and seats in 43 municipal assemblies will be disputed. A combination of parties, coalitions and civic groups, as well as party-backed and independent candidates are competing. EISA, in collaboration with the Electoral Observatory, conducted a parallel vote tabulation (PVT) exercise during the November 19 municipal elections. 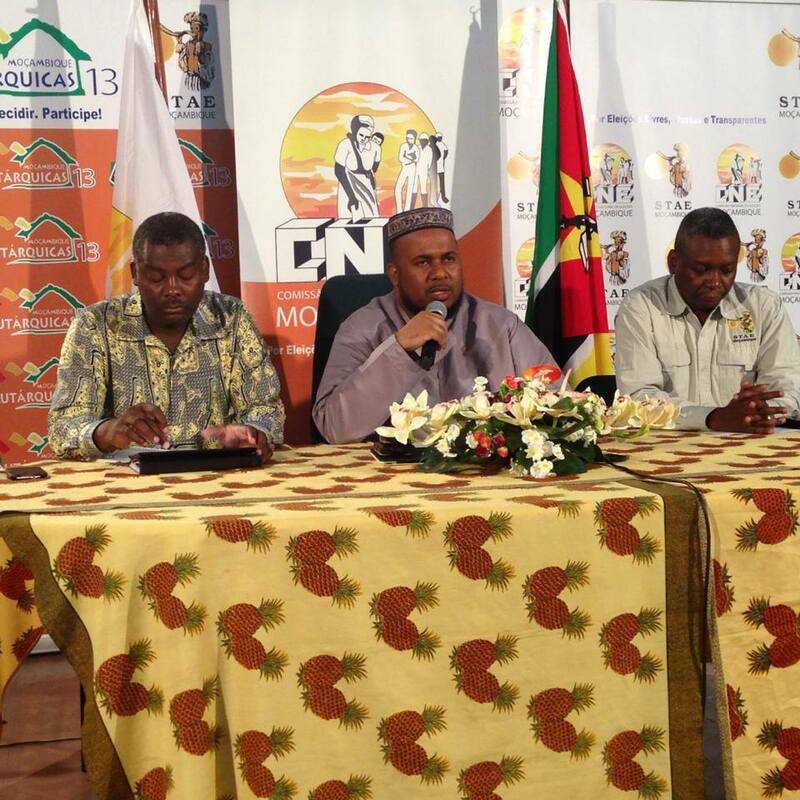 The PVT was conducted in thirteen of the 43 Mozambican municipalities. In the selected municipalities, the electoral contest was expected to be tightly fought and/or there was a history of political conflict during electoral processes. In the cities of Beira and Matola the PVT was conducted on the basis of a random sample of polling stations, and in the remaining eleven municipalities the PVT was based on the collection of tally sheets from all polling stations to produce a full parallel count. This methodology was chosen due to the fact that these eleven municipalities are too small for a sample to be used. Around 650 observers, recruited by the Electoral Observatory and co-trained by EISA, were involved in the exercise. 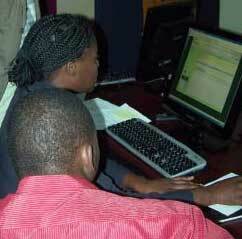 Besides training and technical advice, EISA also hosted and managed the central command post and results database. This PVT exercise proved to be quite critical for the transparency and credibility of the elections. When the municipal electoral commissions released the provisional results, a week after the voting, the Nacala city commission gave Frelimo the victory in both races, and the Beira city commission gave Frelimo a 52% majority in the municipal assembly. However, the PVT showed that in Nacala no candidate had obtained more than 50% of the votes and, therefore, a second round would be required; and in Beira, no party had an absolute majority in the assembly and, although Frelimo had the largest portion of the vote, its share was only 41%. The Electoral Observatory and EISA submitted the PVT results to the National Electoral Commission immediately after the municipal commissions released their provisional results. When announcing the final results on December 4, the National Electoral Commission confirmed what the PVT had showed: that there would be a second round in Nacala, and no party had obtained an absolute majority in Beira. The transparency and credibility of the municipal elections was enhanced through conducting voter register testing in 33 municipalities as well as the PVT conducted in 13 municipalities. EISA will be supporting the fifth edition of the Joint Training on Effective Electoral Assistance, organized by the European Commission, United Nations Development Programme and International IDEA, in Maputo on 23 to 28 June 2008. The course will be the first one organized with a contribution of the Canadian International Development Agency and International Organization in Migration in the context of the established "Global Platform on Effective Electoral Assistance". The course is aimed at selected EC-UNDP staff as well as staff of other interested development partners and international organizations dealing with electoral assistance and electoral management bodies. The training covers EU/EC and UN/UNDP policies and procedures for assessing, formulating, approving, implementing and monitoring electoral assistance projects. It will also address issues relating to sustainable electoral systems and processes, election events per se, and the broader framework of democratic governance within which elections take place. The training will be hands on with concrete thematic and country examples. Its ultimate objective is to enhance the effectiveness of electoral assistance. The different sessions of the course will be delivered by members of the EC-UNDP Joint Task Force on Electoral Assistance, senior staff of IDEA, IOM and EISA, senior staff of electoral management bodies and senior electoral experts. EISA, in collaboration with the Electoral Observatory, a coalition of eight Mozambican civil society organisations, conducted a pilot voter register testing in 33 municipalities, ahead of the November 2008 municipal elections. For this pilot testing, a sample of 600 registered voters was selected and the List-to-Voter method was chosen. The testing took place at the same time that the voter register was open to the public for verification. This proved an extremely useful test exercise and highlighted a range of challenges outlined below. One of the first findings of the testing was that the voter register was not displayed as the law requires and in many places was not even available to the public. Furthermore, the register that was made available was not the computerised version, but rather the handwritten back-up. This back-up does not contain voters' addresses and is sometimes difficult to read. As a result, the List-to-Voter method, which relies on voters' addresses being available on the register, had to be abandoned and replaced with the Voter-to-List method. A few problems of absent names or mistakes with voter card numbers were found, but the overwhelming majority of voters were not aware that a period of public register verification was in process and didn't know where to go to verify if their details on the register were correct. All these findings were communicated to the Election Management Bodies (EMBs) and to other stakeholders of the electoral process. Two well-attended public workshops were held for this purpose. The technical problems that plagued the initial phase of the voter registration process for the 2008 provincial elections, raised serious questions regarding its credibility. EISA felt that, in order to check the quality of the voters' roll and if possible help restore its credibility, a voters' roll audit should take place after the end of the registration scheduled for March 2008. A voters' roll audit has never been conducted in Mozambique and EISA began working with Mozambican civil society organisations to develop a methodology and implementation plan to conduct a pilot audit in late March/early April 2008. To endure that post-elections evaluation and identification of followup activities to address such problems, a post 2004 election evaluation workshop was conducted in March 2005 that brought together Mozambican stakeholders as well as representatives from international NGOs operating in Mozambique in the area of elections and the main international observer missions fielded during the 2004 elections. In order to reinforce the collaboration between the NGOs and political parties EISA promoted a partnership with the Association of Western European Parliamentarians for Africa (AWEPA), the Netherlands Institute for Multiparty Democracy (IMD) and the Konrad Adenauer Stifting (KAS). In the first part of the workshop national researchers presented on themes such as voter registration, candidates and campaigning, voting process and counting and disputes. In the second presentations were made by the Chair of the Malawi Electoral Commission on the experiences of that country and by EISA's Executive Director on types of EMB's in the SADC. The workshop was conceived to create a space for an exchange of views on the electoral process between all stakeholders, the discussions were open and constructive and a broad consensus was reached on the main problems and constraints on the Mozambican electoral process. In particular the difficulties created by the partisanship of the National Electoral Commission were emphasised. From this came a report that was published in April 2006 and that was officially requested from EISA by the ad hoc Commission for the Revision of Electoral Legislation. EISA Mozambique has been involved since its inception with an initiative of a group of NGOs in Mozambique which established an Electoral Observatory. In collaboration with the Carter Centre, EISA provided technical support for the process of conceptualisation, organisation, training and implementation of parallel vote tabulation operations. With this technical support from EISA, the Electoral Observatory conducted Parallel Vote Tabulation in two elections (the 2003 local elections and 2004 general elections). In 2004 the exercises gave the first indicative results 48 hour after polling stations closed. The projected results were submitted to the Constitutional Court, the National Electoral Commission, political parties and the media on 9 December 2004, the date when the official provincial count was due to be completed. In both instances, in 2003 and 2004, the success of the initiative was indicated by the very low variance between official election results and the PVT's (less than 1% variance). The close correspondence between the projected results and the official results announced by the Electoral Commission, in the context of a general mistrust of election management bodies in Mozambique, were important in building the credibility of the results and that of the election management bodies. EISA produced a Guide for the Election Observer, with the objective of supporting the activities of citizen observers, which was based on the Principles for Election Management, Monitoring and Observation in the SADC region (PEMMO). The Observer Guide included a code of conduct for observers, some practical guidelines for election observation of the pre election, election and post election phases, a political parties code of conduct and checklists. EISA also produced handbooks on electoral legislation, in English and Portuguese. It was widely distributed to both citizen and international observers as well as to political parties. The National Electoral Commission disseminated it to its staff throughout the country. A common practice that has attracted the attention of civil society and the media has been the misuse of public resources to support political party campaigns. This not only creates significant unfair advantages for incumbents, but is also corruption since public resources are misappropriated. To address the issue EISA collaborated with the Open Society Initiative for Southern Africa and the Open Society Justice Initiative to implement a regional project in the SADC aimed at raising the awareness of the use of public resources for campaign purposes and this was piloted in Mozambique. 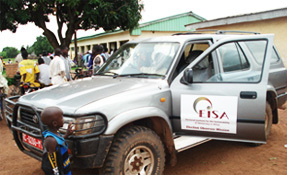 EISA field monitors administered a questionnaire intended to collect raw data on the issue of the (mis)use of state resources for electioneering purposes during the 2004 elections. The report, Monitoring of the Use of Public Resources during the 2004 Campaign, was published by EISA in 2005.